August 15: Almost 9 months after the tragic death of Mojave’s own Raven Night, Kern County broke ground on a cross walk across Hwy-58, linking the Mojave Gardens neighborhood with downtown Mojave and the school district. Kern County Roads is taking the lead on the project, in partnership with Southern California Edison (SCE). The project will include four flashing beacons – one on the south side of the highway, one on the north side, and two in the middle; and will include a curb ramp and pedestrian island for safety in the median. Raven Night, 16, was killed by a vehicle on November 18th while crossing the Barstow Highway on foot on her way to school. Her death is a vivid reminder of the need to prioritize the health and safety of our children above all else. A memorial has remained in her memory along the fence at the site of the incident, and local residents have come out spontaneously to help walk children safely across the highway. 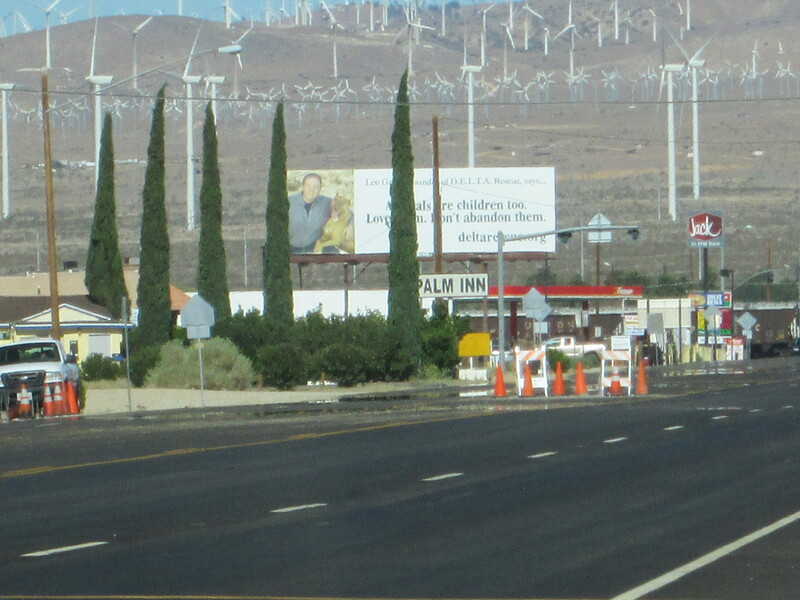 The Mojave Foundation appreciates the recent upgrades to the crosswalk along Hwy-58, but we are adamantly focused on improving the pedestrian safety of our children throughout Mojave – to include sidewalks and streetlights throughout our downtown area. A complete overhaul of Mojave’s pedestrian safety infrastructure would be a fitting memorial to such an outstanding young lady. This entry was posted in Kern County Roads, Mojave CA, Raven Night, Road Traffic, Safety on August 15, 2014 by mojavefoundation.